Future Horizons will be hosting An Evening with Temple Grandin on May 27, 2019. 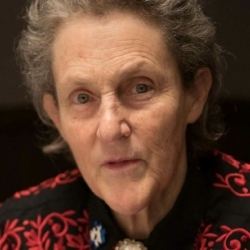 Baltimore, MD, April 13, 2019 --(PR.com)-- Join Future Horizons for an evening with Dr. Temple Grandin, a world-renowned autism spokesperson, scientist, inventor, and inspiration and role model to hundreds of thousands of families and persons with autism. In this presentation, Dr. Grandin eloquently and candidly describes the challenges she has faced and offers glimpses into her own childhood, with ideas on how others dealing with autism can meet these obstacles and improve the quality of their lives. Backed by her personal experience and evidence-based research, Temple shares her valuable insights on all types of thinkers, why they are important, and ways in which young people can continue to think about and understand what it means to be innovative.